Bigflo (Hangul: 빅플로) is a hip hop South Korean Boy Group, formed under HO-Company, that is consists of six members: Jung-kyun, Ron, Yoo-seong, Z-UK, HighTop, Ki-chun. Originally, Bigflo is debuted with only 5 (FIVE) members, one of the members Ki-Chun had join Bigflo when they produce their third number “Obliviate”. Bigflo had made their debut in the year of 2014. Bigflo is pronounced as BIG+FLOW which also brings the meaning of ready to be a big flow of K-pop. After a year a year of debut, Bigflo then came out with their second mini album, Bad Mama Jama, this song manage to reach 355,371 hits at YouTube prior to their release. At the end of year 2015, Bigflo with a full form of 6 (SIX) members, this rookie group released a rather interesting number called “Obliviate”. On the side note, leader of the group Jung Kyun had then released his first solo album in Japan. 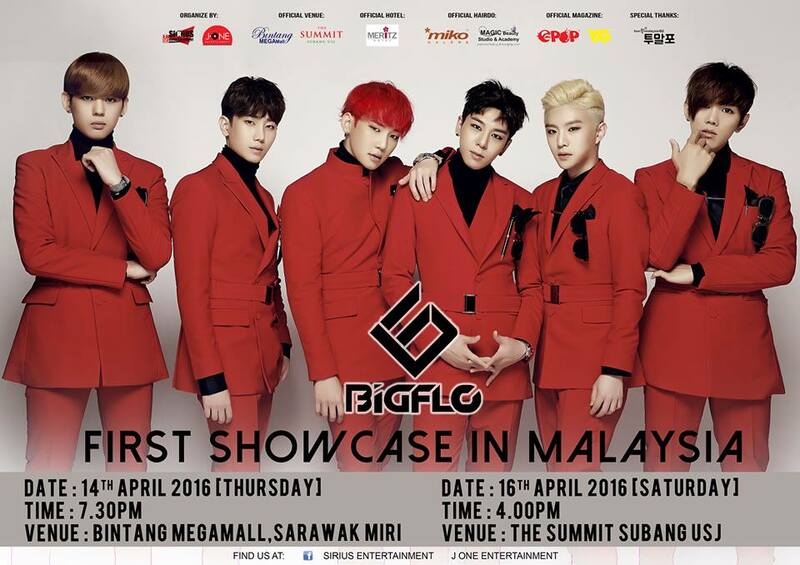 This coming April, is a rather exciting month for Bigflo as they will be coming to Malaysia for a promo tour after 2 years of debut, from 13th to 19th April 2016. They will be performing their hit numbers from their first album to their last. Leader Jung Kyun will also demonstrate his high and steady vocals, by performing his latest number in his solo album. 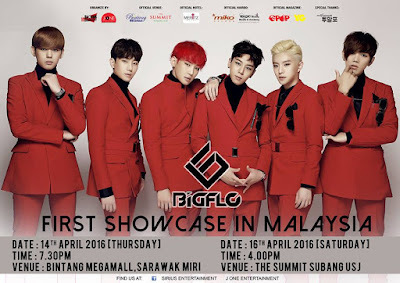 Other than that, in conjunction with Asia New Star Model Search 2016 @ Face of Malaysia, Bigflo will also be so honored to receive a New Hallyu Celebrity Award by the organizer and they will also be one of the guest artistes performing for the day. For more information about the promo tour, please visit Sirius Entertainment Facebook page https://www.facebook.com/SiriusEntertainment.SE/ for more information.